I was born in Barron, Wisconsin on June 10, 1919. After graduating from high school in 1937,I played semi-pro baseball in Wisconsin. The following year I played professional baseball in Refugio, Texas. After playing only a short time, an injury to my arm forced me to end my baseball career. At this time, I moved to Chowchilla, California where I went to work with my father in the construction business. On August 7, 1941 I was drafted into the Army, spending four weeks basic training at Ellington Field, Texas. Following basic training, I was transferred to Mather Field, California and from there was sent to Wright Engine School in Patterson, New Jersey for six weeks. After returning to Mather Field, I volunteered for the B-29 program and was sent to Flight Engineering School at Lowery Field, Colorado. Following this training I was transferred to Smoky Hill Army Air Field in Salina Kansas at the time the 39th Bomb Group was formed. After three months of training our Group was sent to Guam. I have a very vivid memory of one of our missions to Tokyo. 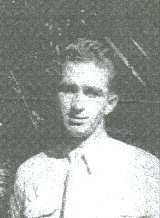 Major Carpenter, our Squadron Commander, was flying as our co-pilot when we were caught in searchlights and our airplane was being damaged by flak. With the very efficient maneuvering of our airplane commander and copilot we returned safely back to our base. On another mission, we lost the Number Three engine at takeoff. At the end of the runway there was a bluff about three hundred feet high with the ocean below. When the plane came off the runway we always dropped within a few feet from the water, but on this mission altitude had to be gained before we could feather the engines in order to salvo the bombs. Thanks again to our airplane commander for such steady nerves and good judgment for our safe return. Being a lead crew, we were sent to Muroc, California, which is now Edwards Air Force Base, for thirty days of radar bombing training. After returning to Guam we flew several more missions before the end of the war. I returned home as Flight Officer in December 1945 and was discharged at Santa Ana, California. Following discharge I returned to Chowchilla, California joining my father and brother in the construction business of Kolb, Kolb and Kolb. I continued in the construction business until I retired in 1982. In June of 1948 I married Lavelle Wooten and we just celebrated our fifty-second wedding anniversary. In the past we enjoyed snow skiing, fishing, hunting and exploring the high Sierra Mountains in our Jeep. I am now an avid golfer and Lavelle is an artist, painting in watercolor. We spend a lot of our time at our cabin at Sugar Pine, near Yosemite National Park in California. 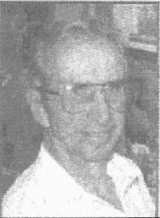 12 April 2005: Ben Piteo notified us that Gene C. Kolb passed away on 7 April 2005 in a hospital in Clovis, CA. 22 April 2005: Funeral services for Gene Kolb were held today April 22, 2005 at Chowchilla United Methodist Church, in Chowchilla, CA. ; He was buried late in the afternoon at San Joaquin Valley National Cemetery in Gustine, CA. - Ed and Kelli Reimer.